Paid public access to the internet via state telecom monopoly ETECSA continued to expand during the coverage period, with the number of Wi-Fi hotspots growing to 673, home-based access reaching over 27,000 customers, and the launch of the first possibility for public access to the internet via cell phones in December 2017 (see Availability and Ease of Access). The government continued to harass, detain, and jail independent digital journalists. Several independent journalists have faced prosecution for “usurpation of legal capacity,” which prohibits “carrying out acts belonging to a profession the exercise of which one is not duly prepared” (see Prosecutions and Detentions for Online Activities). Several dissident and independent news outlets continued to be blocked on the island. In February 2018, the independent online outlet El Estornudo published an editorial denouncing a recent move to block the site, prompting other independent digital media to repost the message in solidarity (see Blocking and Filtering). Despite recent moves to increase access to the internet on the island, Cuba remains one of the world’s least connected and most repressive environments for information and communication technologies. Continuing its initial expansion begun in summer 2015, the Cuban government’s telecommunications monopoly ETECSA continued to deploy Wi-Fi hotspots in public parks across the island, reaching 673 by March 2018. It also extended its “Nauta Hogar” home-based internet access rollout, which began with less than 2,000 customers in Old Havana in December 2016. It now includes more than 27,000 DSL internet connections for paying customers in all of Cuba’s major cities. Additionally, ETECSA announced that during 2018 cell phone internet plans would become available for the first time, and started granting access to select users.2 However, prices for internet access continued to be exorbitant for the average Cuban. Independent civil society and media activists continued to be systematically harassed and have often been prevented from traveling to professional meetings abroad. A number of them, including the independent internet TV producer Ileana Hernández, and the reporters Sol García and Henry Constantín, have been served official government warnings (”advertencias”) or charged with practicing journalism without a license in order to silence them. A number of popular internet sites are unavailable in Cuba, including independent media outlets such Cuba Encuentro, Café Fuerte, CiberCuba, and El Estornudo, which are blocked by the Cuban government due to those sites’ critical content. A recent island-based study by the Open Observatory of Network Interference (OONI) found 41 blocked sites.3 Additionally, services of some US-based internet companies are inaccessible in Cuba due to US regulations under the embargo. Penetration rates and internet speeds continue to lag behind regional averages, and access to the global internet in Cuba is extremely restricted, due to high prices and government regulation of access points. Nevertheless, some openings have taken place over the past years, and more Cubans have gained access to the global internet or to other channels for sharing information with fellow citizens. During the past year, the government’s priority focused on expanding the number of Wi-Fi hotspots and home-based internet access, as well as testing internet via cell phone. For years, most Cubans have been denied internet access or relegated to a government-controlled intranet, which consists of a national email system, a Cuban encyclopedia, a pool of educational materials and open-access journals, Cuban websites, and foreign websites that are supportive of the Cuban government. Resolution 92/2003 prohibits email and other ICT service providers from granting access to individuals who are not approved by the government. Entities that violate these regulations can be penalized with suspension or revocation of their authorization to provide access.10 The intranet can be accessed through government-run internet access centers, the offices of ETECSA, or state-run cybercafés. Although most foreign websites are now available at state-run access sites, the cost of accessing non-Cuban sites remains higher. While home connections were virtually non-existent before December 2016, the government has taken steps to enable public access to wired and wireless internet in recent years. In June 2013, citizens began to access the internet through broadband connections to the new fiber-optic cable at government-run “telepuntos” or navigation halls. Between 2016 and 2017 the government’s priority shifted from these cybercafés to expanding the number of Wi-Fi hotspots and launching its first home-access pilot project under the name “Nauta Hogar.” According to ETECSA, there were more than 1,651 public access points on the island by March 2018, including state-run cybercafés, public Wi-Fi hotspots, and internet connections at hotels, youth computer clubs, and post offices. In December 2017, state telecommunications agency ETECSA announced that it would begin to offer internet service to cell phone customers in 2018. By August 2018, the government tested mobile internet nationwide for nine hours, though users reported that the connection was very slow.17 While a select number of users were reportedly already granted access to mobile internet, the official launch date of the service remained unknown.18 During spring 2018, ETECSA tested this new internet via cell phone service in parts of Havana and in a number of top tourist destinations such as Varadero beach.19 3G technology began operating in Cuba in 2017. Despite price cuts and occasional promotions, the cost of mobile and internet service is still too high for the majority of Cubans. While the government has cut prices for internet access points, hourly charges still amount to roughly 7-10 percent of the average monthly salary.23 In December 2016, ETECSA further reduced the hourly charge for using the internet at state-run cybercafés from CUC 2 to 1.50 per hour.24 This was again lowered from CUC 1.50 to 1 in late October 2017. Likewise, for a much lower fee of CUC 0.60 an hour (lowered to 0.25 and then to 0.10 per hour during the first half of 2017), Cubans are able to access the “intranet,” or domestic websites only.25 The government’s strategy seems to be predicated on convincing Cuban exiles to pay for these services for their relatives in Cuba—viewed by many as an attempt to attract new funds. Since January 2014, friends and relatives living abroad can use an online service to pay the phone bills and Nauta internet accounts, including the newly inaugurated home access program Nauta Hogar, of users living on the island.26 This will also be the case for those who add cell phone internet data plans in the future. To overcome access limitations, some Cubans have improvised underground networks. Inventive strategies include an island-wide off-line “packet” digital data distribution network, a series of local area networks or sneaker-nets (SNETs) linking up thousands of users in urban areas, and the use of various signal amplification devices such as NanoStations to share or sell Wi-Fi signals.32 Two popular apps that aid Cubans in sharing are Zapya, which allows for easy wireless sharing of data across two or more devices, and Connectify, which allows users to share a Wi-Fi internet signal with others. 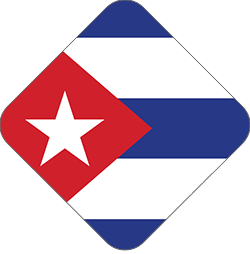 Another popular app called Psiphon allows users to create a virtual private network (VPN) that simultaneously protects their anonymity and allows them to connect from a Nauta Wi-Fi hotspot to blocked sites in Cuba such as Cubanet, 14ymedio, or Diario de Cuba.33 Likewise, the app Aurora Suite allows Cuban users to access websites, including blocked ones, by using Nauta’s email interface – thus requiring neither a data plan nor an active connection to a Wi-Fi hotspot.34 The underground economy of internet access also includes account sharing, in which authorized users illegally sell access to those without an official account for CUC 1-2 per hour. The ICT sector remains dominated by government firms. Cuba's monopoly telecommunication service provider ETECSA (Empresa de Telecomunicaciones de Cuba S.A.) is owned by the state.36 Cubacel, a subsidiary of ETECSA, is the only mobile phone carrier. Cuban law places strict limits on free speech and outlaws independent media. Although many foreign news websites are accessible from internet access points, websites focused on Cuban news and websites run by Cuban dissidents are often blocked. Despite connectivity limitations, Cubans have been able to access content through improvisational underground networks and USB flash drives containing content downloaded from the internet. Several independent web-based information sites have also emerged, offering alternative discourses about the Cuban reality. Cuba has one of the most restrictive media environments in the world. The constitution prohibits privately-owned media, and restricts speech that does not “conform to the aims of a socialist society.” The government closely monitors users who post or access political information online and delivers harsh penalties to those it perceives as dissidents. Demand for access to content among the Cuban population, however, has led to elaborate underground networks of internet access. Cuba outlaws a wide range of speech deemed to be counter-revolutionary or a threat to the public order. In recent years, the Cuban government has moved from issuing long, multi-year sentences to using short-term detentions as a means of harassing independent journalists and bloggers. Several episodes of censorship and intimidation against bloggers and independent journalists were reported during this coverage period. Despite constitutional provisions that protect various forms of communication and portions of the penal code that establish penalties for the violation of the secrecy of communications, users’ privacy is frequently violated. Tools for content surveillance are likewise pervasive. Under Resolution 179/2008, ISPs are required to register and retain the addresses of all traffic for at least one year.88 Reports indicate that the government routes most connections through proxy servers and is able to obtain user names and passwords through special monitoring software called Avila Link, which is installed at most ETECSA and public access points.89 In addition, delivery of email messages is consistently delayed, and it is not unusual for a message to arrive censored or without its attachments. If users attempt to send an email with attachments, ETECSA’s own NAUTA interface system greets them with a pop-up window reminding them that “other people may see what you are sending” and asking if they wish to continue. Although the pop-up window is marked “Internet Explorer” and appears to be a real message generated by the search engine, several Cuban online users have said that they had never seen such a message when using internet cafés in Havana’s tourist hotels. Such claims suggest that ETECSA may have programmed computers at its new access points to prompt users as a reminder that the government is monitoring their online activities. Although the majority of cases of physical violence against activists in Cuba appear to be in retaliation for public protests rather than online activity, prominent online users have faced violence from police forces, and users who have been jailed for extended periods of time report being mistreated and tortured. 1 “Video offers rare glimpse of hardline ideology from presumed next leader of Cuba,” Nora Gámez Torres, Miami Herald, August 22, 2017 (www.miamiherald.com/news/nation-world/world/americas/cuba/article168657017.html). 3 “Google global cache servers are online in Cuba, but Google's App Engine is blocked,” Larry Press, The Internet in Cuba (blog), September 21, 2017 (www.laredcubana.blogspot.fr/2017/09/google-global-cache-servers-are-online.html); “Fact checking the recent news about Google in Cuba,” Larry Press, The Internet in Cuba (blog), September 7, 2017 (www.laredcubana.blogspot.fr/2017/09/fact-checking-recent-news-about-google.html); “There is one place where freedom of expression exists in Cuba: Google servers,” Nora Gámez-Torres, Miami Herald, September 1, 2017 (www.miamiherald.com/news/nation-world/world/americas/cuba/article170757412.html). 6 National Office of Statistics and Information (ONEI), “Tecnología de la Información y las Comunicaciones, 2016,” [Information and Communication Technology, 2016] http://www.onei.cu/aec2016/17%20Tecnologias%20de%20la%20Informacion.pdf (note: this report was published in August 2017 but covers the calendar year 2016). 7 For example, Cuban programmer Salvi Pascual of Apretaste.com found that while 30 percent of Cubans (3 million people) have some sort of “internet” access, the vast majority of these (2.8 million) have access to e-mail only, with just 5 percent (560,000) enjoying full web access. This estimate is based on an anonymous survey of approximately 1,000 users in Cuba, collected in 2016 through the app Apretaste, which offers uncensored access to the internet via email. See: https://apretaste.com/welcome. 8 Jack Karsten and Darrel M. West, “Cuba slowly expands Internet access,” Tech Tank (blog), Brookings Institute, July 2, 2015, http://brook.gs/1KDrxLF; note however that the Cuban Minister of Communications reported in July 2017 that “international broadband speed doubled from 4 Gb/s to 8 Gb/s during 2016,” “Diputados analizan Política Integral para el Perfeccionamiento de la Informatización de la Sociedad en Cuba,” [Delegates analyse Comprehensive Policy for the Improvement of the Computerization of Society in Cuba], CubaDebate, July 13, 2017, www.cubadebate.cu/noticias/2017/07/13/diputados-analizan-politica-integral-para-el-perfeccionamiento-de-la-informatizacion-de-la-sociedad-en-cuba/#anexo-929649. 15 “Statistics and Predictions from Informatica 2018,” Larry Press, The Internet in Cuba (blog), March 23, 2018. 16 “Statistics and predictions from Informatica 2018,” Larry Press, The Internet in Cuba (blog), March 23, 2018 (www.laredcubana.blogspot.fr/2018/03/statistics-and-predictions-from.html). 19 “Habrá dos tipos de usuarios en el servicio de internet en los móviles, el moderado y el intenso”, 14ymedio, June 8, 2018 (www.14ymedio.com/nacional/usuarios-servicio-internet-moderado-intenso-Etecsa-Cuba-cubanos_0_2451354852.html). 20 “Diputados analizan Política Integral para el Perfeccionamiento de la Informatización de la Sociedad en Cuba,” [Delegates analyse Comprehensive Policy for the Improvement of the Computerization of Society in Cuba], CubaDebate, July 13, 2017, www.cubadebate.cu/noticias/2017/07/13/diputados-analizan-politica-integral-para-el-perfeccionamiento-de-la-informatizacion-de-la-sociedad-en-cuba/#anexo-929649; “Cuban ICT statistics report for 2016,” Larry Press, The Internet in Cuba (blog), August 2, 2017, laredcubana.blogspot.com/2017/08/cuban-ict-statistics-report-for-2016.html; “Statistics and Predictions from Informatica 2018,” Larry Press, The Internet in Cuba (blog), March 23, 2018. 21 “Habrá dos tipos de usuarios en el servicio de internet en los móviles, el moderado y el intenso”, 14ymedio, June 8, 2018 (www.14ymedio.com/nacional/usuarios-servicio-internet-moderado-intenso-Etecsa-Cuba-cubanos_0_2451354852.html). 23 Isbel Díaz Torres, “The Mean Salary of Cubans,” Havana Times, August 6, 2013, http://bit.ly/2cW21x3. 34 “Aurora Suite, la aplicación que burla la censura”, 14ymedio, June 8, 2018, www.14ymedio.com/nacional/Aurora-Suite-aplicacion-burla-censura-Aurora_Suite-app-internet-Cuba_0_2451354849.html. 64 Elaine Díaz, “Cuba’s Emerging Media: Challenges, Threats, and Opportunities,” International Journalists’ Network, January 29, 2018, https://ijnet.org/en/blog/cuba%E2%80%99s-emerging-media-challenges-threats-and-opportunities. 65 “Ecured is Not Open like Wikipedia,” The Internet in Cuba (blog), December 21, 2011, http://bit.ly/1FyuMI7. 76 Giovanni Ziccardi, Resistance, Liberation Technology, and Human Rights in the Digital Age, (Netherlands, Springer, 2013) 220. 79 “Menos detenciones y más agresiones físicas contra activistas, denuncia la CCDHRN,” [Fewer detentions and more physical attacks against activists denounces CCDHRN], 14ymedio, June 5, 2017 www.14ymedio.com/nacional/detenciones-agresiones-activistas-denuncia-CCDHRN_0_2230576927.html; Cuba amplía la censura a internet y persiste el acoso y la denteción de opositores,” 14ymedio, February 22, 2018. 88 José Cuervo, “Resolución n˚ 179/2008 Proveedores de servicios de acceso a Internet al público,” [Resolution No. 179/2008 Providers of services of internet access to the public], Informática jurídica, February 16, 2015, http://bit.ly/1PC8Vjg.